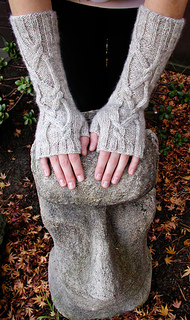 FOR THE ORIGINAL, ENGLISH VERSION OF THIS PATTERN, please go to this page on Knitty. Please note: the Ravelry download will get you the Italian translation of the pattern. 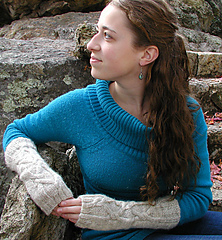 For the full pattern in English, including pictures, please click the link to the pattern on www.knitty.com. 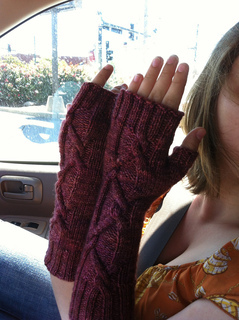 Thanks so much to Elena (trappy) for translating my pattern into Italian! 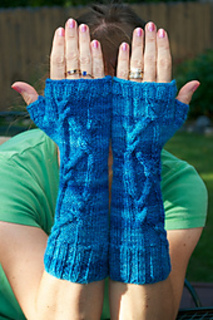 Okay, actually, lofty platitudes about politics were not the inspiration for these mitts. My real inspiration came from a pun and a wild hare. 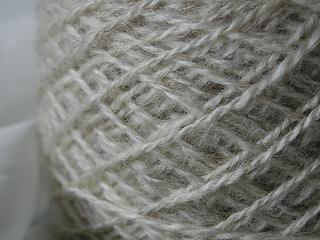 I’d been reading about the sheep breed Romney, and I got it into my head that I wanted to spin some Romney and knit some mitts, thus creating “Mitts Romney.” The fact that I didn’t care for the candidate Mitt Romney did not deter me from my goal, and as I spun the yarn and planned and knit the mitts, I kept chuckling to myself about my little joke. The fiber was beautiful, hearty, natural pin drafted roving. 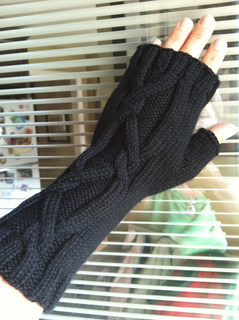 I spun it long-draw to get the most loft from it that I could, and I ended up with snuggly but lightweight armwarmers that I can’t wait to wear to keep away the fall chill. 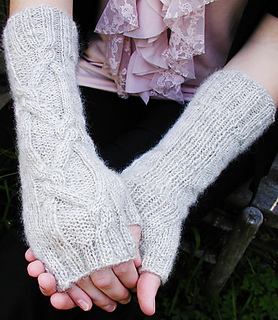 On the left hand chart, rows 9 and 10 should both start with a purl. 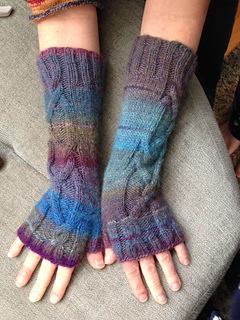 On the right hand chart, rows 25 and 26 should both start with a purl. Thanks so much to PreservationGal for noticing the error.